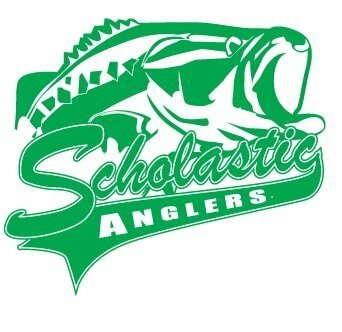 THE SCHOLASTIC ANGLERS PROGRAM BASIS ITS FOUNDATION ON THE PRINCIPALS OF CHARACTER EDUCATION. THE PHILOSOPHY THAT THESE QUALITIES CAN BE INSTILLED INTO EACH PARTICIPATING STUDENT-ANGLER IS THE DRIVING FORCE BEHIND THE PROGRAM. IN ADDITION THE PROGRAM OFFERS ALL OF THE ELEMENTS OF INTENSE EDUCATION AND COMPETITION PROVIDING ANOTHER OPTION FOR OUR STUDENTS TO FIND AND DEVELOP AN INTEREST IN TO HELP THEM TO SEPARATE FROM THE NEGATIVE INFLUENCES IN OUR SOCIETY TODAY. FAR TOO OFTEN, FAR TOO MANY STUDENTS FIND THEMSELVES IN THE WRONG PLACE AT THE WRONG TIME. IN ORDER TO CATCH THAT BASS OF A LIFETIME, A STUDENT-ANGLER MUST HAVE TO BE IN THE RIGHT PLACE AT THE RIGHT TIME.